Our Nimbus networking website, networkcables.co.uk specialises in everything you need to build your home office network. We stock over 1000 different lengths and colours of Network Cables including CAT5e, CAT6 and CAT6A. We also stock ranges of Fibre Optic Network Cables, Network Faceplates, Patch Panels and many other networking products. 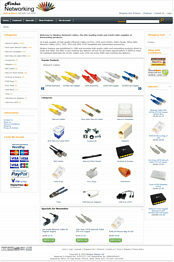 Welcome to Nimbus, Nimbus Designs Ltd was established in 1980 and has become one of the best known names in the UK for supplying TV Cables, Network Cables, Computer Cables and TV Brackets. Registered in England No. 01521727 VAT Number GB 842909410. As the name suggests TVCables specialises in Cables for your TV, we stock just every cable you could need for your TV such as an HDMI Cable to connect your Sky box or a Power Cable for your TV. 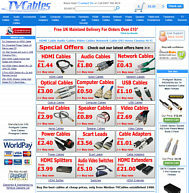 We also stock a wide of Network Cables, Aerial Cables and many more TV and Computer Cables. 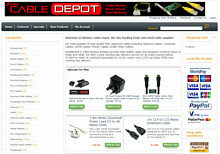 Cabledepot specialises in Computer Cables and accessories including Ethernet Cables for networking, USB Cables for your peripherals, VGA Cables, DVI Cables and Displayport Cables to connect your monitor and Power Cables. Cabledepot keeps large stocks ready for fast despatch, order by 4:30PM for delivery the next working day. 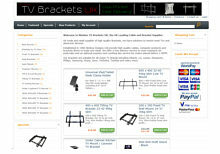 TV Brackets UK specialises in TV Brackets, Ipad Stands and many other items for mounting your tech. Stocking brackets to suit almost every type of TV up to 100 inches. The range includes fixed type mounts, tilt and swivel, ceiling and under cupboard plus many more. Profigold Cables are high end interconnects made using the finest pure copper interconnects. The Oxypure range is well known in the hi-fi world for its sound detail. 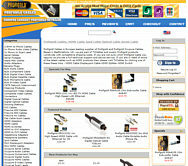 Buy direct from our Profigold Store with free delivery when you spend over £30. Looking for the Best Cables? 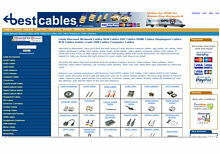 Our site Bestcables specialises in Lindy Electronics products, all available with next working delivery if ordered before 5:30PM. 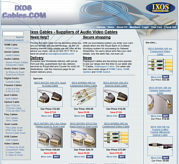 IXOS Cables are no longer manufactured and won’t be available once current stocks are exhausted, our IXOS Store has been left online as a product reference site. Although HDMI cables have become the main stream cable for TV connections there is still a lot of demand for scart cables, check out our information site on Scart Leads.